BRACKNELL, UK - Winfrasoft, will be showing visitors to GITEX Technology Week how its award-wining pattern-based authentication solution, PINgrid, is making passwords a thing of the past. The authentication company with be on stand C3-1C at the Dubai World Trade Centre from 12th till the 16th October. The PINgrid solution is attracting widespread attention from the banking, payments, healthcare and retail communities around the world, as a cost-effective way to replace traditional hard-tokens and to remove the negative impact of the barriers passwords put in the way of accessing online services and corporate networks. To demonstrate the effectiveness of PINgrid, Winfrasoft will run a week long challenge at GITEX Technology Week. Sales and Marketing Director at Winfrasoft, Alissa Lang explains: “Anyone that visits our stand will have as many chances as they like to try login in to a desktop that we have protected through PINgrid. If they can crack the code they walk away with a Microsoft Surface Pro 3.” The 8x8 number grid version of PINgrid has 68.7 billion pattern combinations, so to give people a chance Winfrasoft will be using the standard 6x6 grid configuration that contains just 2.1 billion different combinations! With the PINgrid solution in place an organisation can present the grid-based challenge on-screen in 1.5FA format, or it can be used to transform any smartphone or tablet in to a soft-token using the PINgrid app. 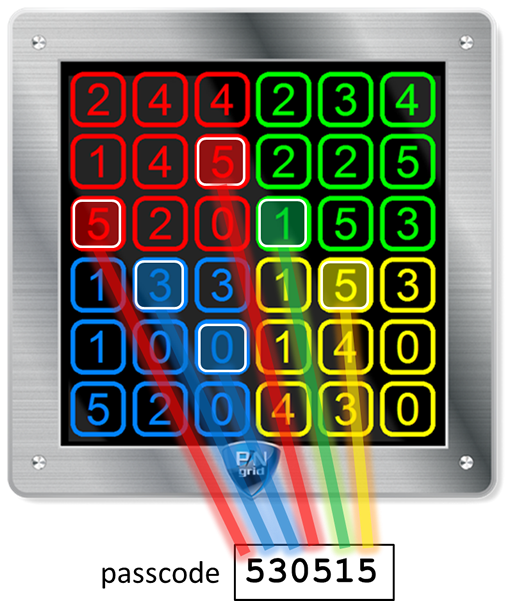 The user sets the pattern of their choice and when they want to login they simply type the numbers that feature in their grid pattern in to the PIN box displayed on their laptop, desktop or mobile device screen. As the numbers are constantly changing the code they enter changes. For more information about GITEX Technology Week and to register visit: www.gitex.com. CEO of Winfrasoft, Steven Hope will be available for briefing at the event and to schedule a meeting contact Graham Thatcher on Tel: +44 (0) 2380 111 970 or Email: graham.thatcher@mccint.com.